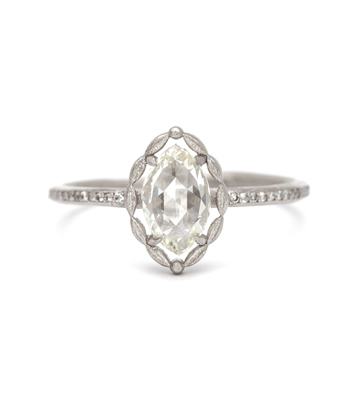 Simply stunning, a lively pear-shaped rose cut center diamond (0.59 ct.) center is gracefully encompassed by a leafy halo. 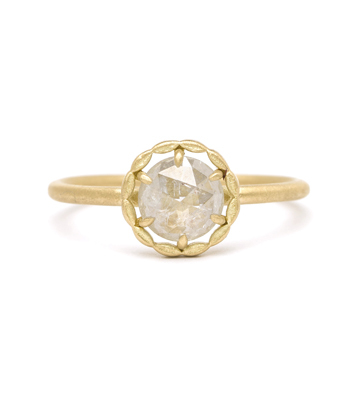 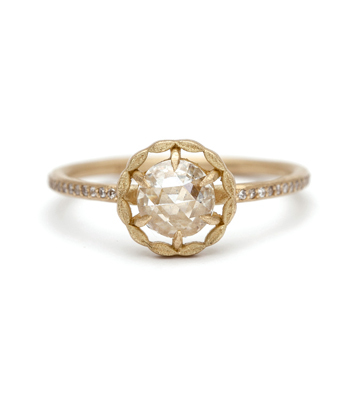 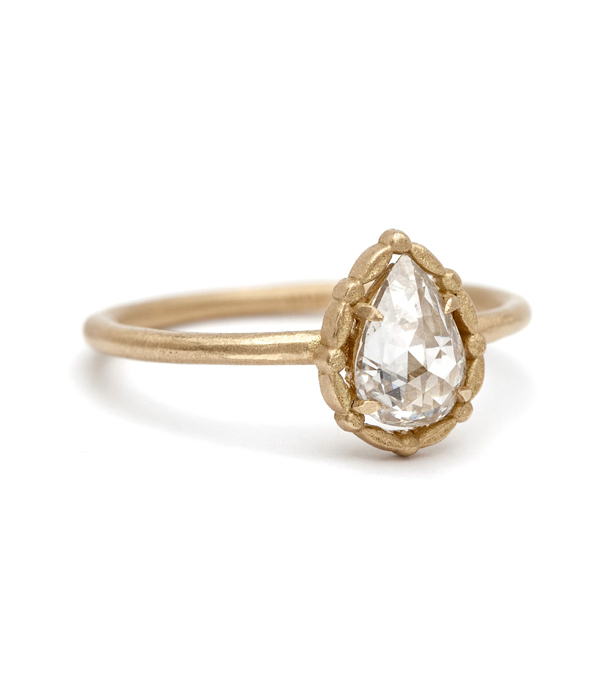 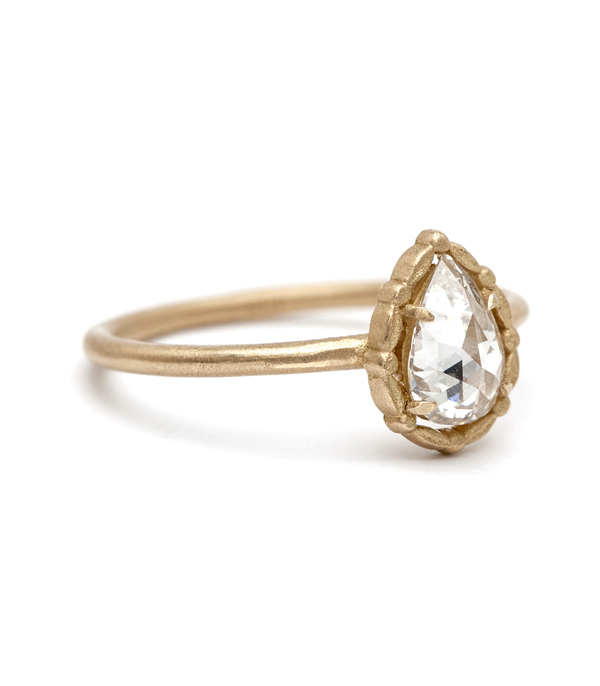 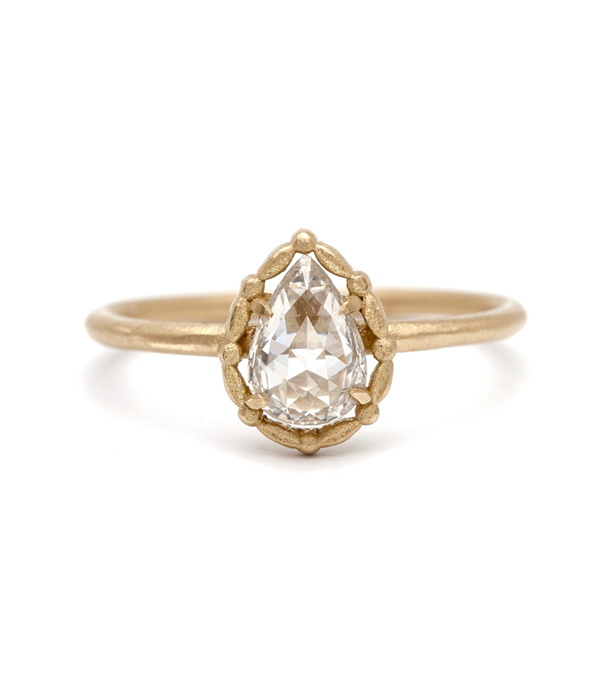 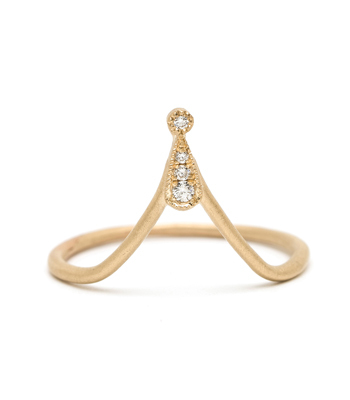 Crafted in solid 18K matte yellow gold, this vintage inspired solitaire is highlighted on a smooth rounded band. 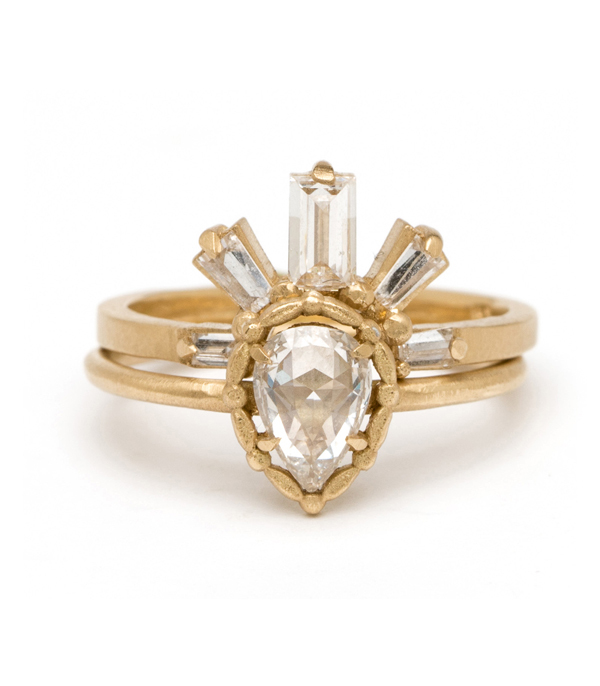 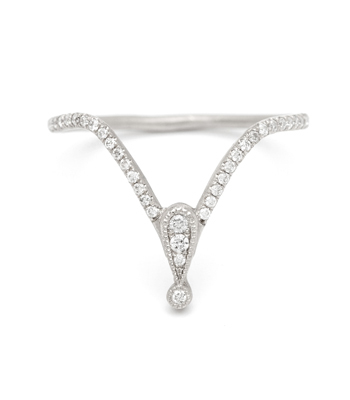 Dazzling on its own or stacked with one of our exquisite Alethea tiara bands for a more whimsical look, this one-of-a-kind piece makes an ideal engagement ring for a for a unique bride with a bohemian, vintage style.